Theresa May is unusually slow to reach boiling point. Indeed, many of us wish she were quicker to express her anger at those who have been trying to frustrate her efforts to honour the outcome of the 2016 referendum and leave the European Union. But yesterday the Prime Minister’s preternatural patience finally snapped, with an unprecedented attack on one of her predecessors. In a statement of withering contempt, she declared: ‘For Tony Blair to go to Brussels and seek to undermine our negotiations by advocating for a second referendum is an insult to the office he once held and to the people he once served. This message is not, I suspect, meant only for Mr Blair. 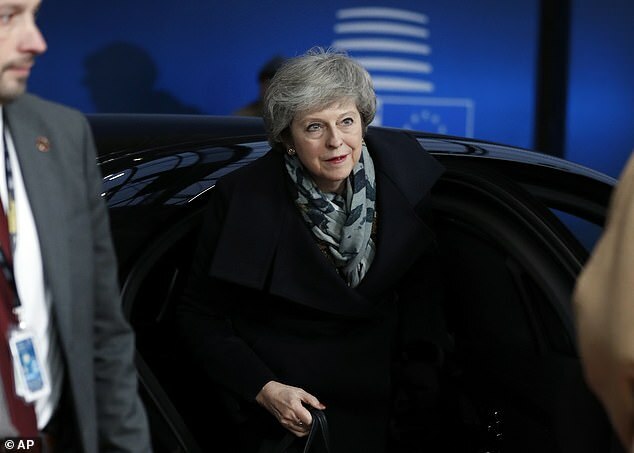 Senior members of her own party — apparently including the man described as her ‘deputy PM’, David Lidington — are attempting to push her towards a second referendum as a means of breaking the parliamentary impasse over the passing of the EU Withdrawal Agreement. But those MPs have not been having meetings in Brussels with the panjandrums of the European Commission, as Tony Blair has, to sew up some sort of Brexit-blocking bargain. This matters, because the former PM is taken much more seriously there than he is in his own country. A recent poll showed that only two per cent of the British population have a ‘very favourable’ opinion of Mr Blair. It is the sort of approval rating a mass-murderer might be expected to get — which happens to be how many members of his own party describe him, in the wake of the Iraq war. Even if Blair had not been so discredited as a result of leading the nation into a war of choice based on (as we later discovered) fictional claims, there is still something outrageous in his one-man diplomatic mission to Brussels. Last week, he imperiously told the European TV station Euronews: ‘I need to get the European leaders to the next stage.’ Who the hell does he think he is? By what authority does he act on behalf of this country? He is not even a member of parliament, either elected or — since he refused the opportunity to sit there — in the revising chamber of the Upper House. His presumption is extraordinary. 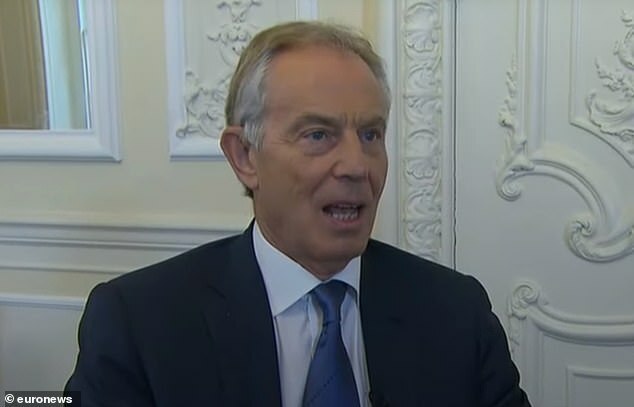 This came out in an interview with the BBC’s Andrew Marr last year, when Blair told the astounded presenter that, in promoting the campaign to prevent the UK from leaving the EU, ‘I feel a renewed sense of mission’. Lovely for him to imagine that once again the hand of history has been placed upon his shoulders; but for the rest of us, the idea of Tony Blair leading the nation towards a manifest destiny clearly understood only by him is a deranged prospect. Actually, not quite all of us. 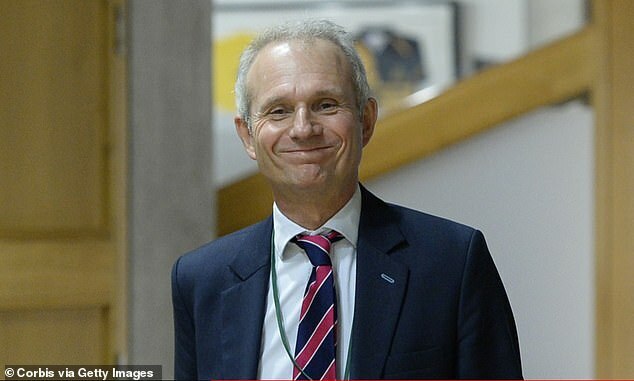 He is accompanied on this ‘renewed sense of mission’ by two of his closest former advisors: his former spin-doctor Alastair Campbell, and his erstwhile 10 Downing Street policy chief, Andrew Adonis. Perhaps I’m the only one who thinks this, but neither of them comes across as entirely rational. Both have been driven to something like hysteria by the 2016 referendum result. Campbell, in the very week of the ballot, demanded that it be ignored on the grounds that it was based on a false prospectus (rich, coming from the author of the Iraq ‘dodgy dossier’). Lord Adonis, meanwhile — whom I had hitherto regarded as entirely clear-headed and reasonable — has been littering the Twittersphere with increasingly bizarre assertions. He has become convinced that the BBC’s management and journalists are dedicated to the Brexit cause, referring to them as ‘the Brexit Broadcasting Corporation’. And when the Financial Times (which actually hates Brexit) recently declared that Parliament should support Mrs May’s negotiating terms with the EU, as the best of a bad job, Adonis tweeted that this was an attempt by the FT’s editor to get a knighthood from Mrs May and/or that the paper was cravenly doing the bidding of its Japanese owners (Nikkei). Given that corporate Japan regards Brexit with undisguised dismay, this suggested that Blair’s vicar on earth (I mean Lord Adonis) had gone well and truly off the deep end. It’s important to understand where Blair and Adonis come from in the matter of the UK’s relationship with the EU. They are among the tiny minority of the British political class — perhaps only Lord Heseltine is of the same view — who believe it was a terrible error for Britain not to have joined the euro. They genuinely think that this country’s destiny is to be absorbed in a federal European system with, ultimately, a common government: national parliaments would become more like parish councils. I remember that the first time I had lunch with Blair after he had become Labour leader, he told me that if there was one thing he was passionately convinced of, it was that the UK should give up the pound to join the mooted single European currency. That was years before the euro actually came into being: but after it did, he told the BBC’s Jeremy Paxman that it would be ‘crazy’ for the UK to rule it out. Blair was livid (the word barely does justice to his rage) when in 2003 Gordon Brown used his authority as Chancellor of the Exchequer to thwart him and do just that. Two years later — perhaps to demonstrate his credentials to the EU after losing that battle — Blair declared that our EU rebate negotiated (with such remarkable toughness) by Margaret Thatcher was ‘an anomaly that has to go’. And so he signed away £3 billion a year of it, in return for unmet assurances from Brussels. So far, Blair’s gesture of good will to the institutions of the EU has cost British taxpayers almost £40 billion. On his many trips to Brussels since the referendum, Blair has sought to persuade the European Commission to give some sort of derogation to the UK on freedom of movement while remaining in the EU: he thinks he will, by his own charm and personality, achieve this (and thus cancel out what he believes is the main reason for Brexit). It is delusional. This is what David Cameron failed to do, despite negotiating with all the authority of being, actually, the British Prime Minister, and despite promising this to the British people (‘I will deal with free movement’). As Sir Ivan Rogers (Britain’s permanent representative to the EU during those negotiations) observed last week, those campaigning for a second referendum to overturn the result of the first ‘seem either remarkably coy about whether they want to remain on the terms Cameron negotiated or whether some great new offer will be forthcoming — notably on freedom of movement from EU elites supposedly desperate to give us something now that they were not prepared to give to Cameron. Let me puncture that fallacy. No such offer will be coming’. And, on the topic of Mrs May’s immediate predecessor, let’s note how impeccably he has behaved since the referendum, in refusing to do anything other than support the current occupant of the office he held — even though May sacked every last Cameroon in the government as soon as she took over. Note also that Cameron has held back publication of his now completed memoirs until after Brexit has been delivered, on the grounds that his revelations might cause Mrs May’s government difficulties they could do without at such a delicate stage. True, Cameron is a member of the same party as Mrs May, whereas Tony Blair was a Labour Prime Minister and remains a member of the Labour Party: in that respect he owes no loyalty to her. This underlines a point which should weigh heavily with senior remain-voting Tory MPs attracted by the idea of a second referendum. Such a course of action would achieve Tony Blair’s other great ambition: the destruction of the Conservative Party.